Meat can be expensive, and when you find a good deal, it's smart to stock up. Freezing that meat as soon as you get home is essential. You should follow a few simple tips for packaging it to prevent freezer burn and make meal prep easy. Buying meat in bulk is a great way to save money. When you come across a bargain, split your stash up and save portions for both short- and long-term storage. Any meat that you will use in the next couple of months can simply be popped into the freezer in its original packaging. However, you might want to portion it out for single meals if it isn't already. Frozen meat is difficult to separate until it thaws out, and while you can refreeze what you don't need, it could become dry. For that reason, it's best to divide it into individual meal portions before freezing, so you only thaw what you need. Place each meal-size portion in a freezer bag or wrap it in freezer paper. Meat can also be stored in the freezer for longer than a few months. In this case, you should give it more protection from freezer burn. Add a layer of foil, freezer wrap, or freezer paper around the original packaging. Or pop the whole thing in a freezer bag. Ask the butcher to package meat in certain portions. For example, ask him to wrap your ground beef in one-pound packages or include only two steaks per package. At home, divide the meat according to how much your family eats for an average meal. Create packages with one or two pieces of chicken per person or split deli meat into packages small enough for just one week. Employees at a busy meat counter might accidentally tuck plastic wrap or butcher paper into ground meat. This is frustrating when you want a quick meal and need to defrost while cooking, only to find the frozen packaging impossible to remove. Prevent this by checking your meat packaging before freezing and rewrap as required. Organize chicken and other poultry pieces into wings, drumsticks, breasts, and thighs, so you have easy options for particular meals. Prepare grill-ready burgers by seasoning ground beef and forming it into individual patties. 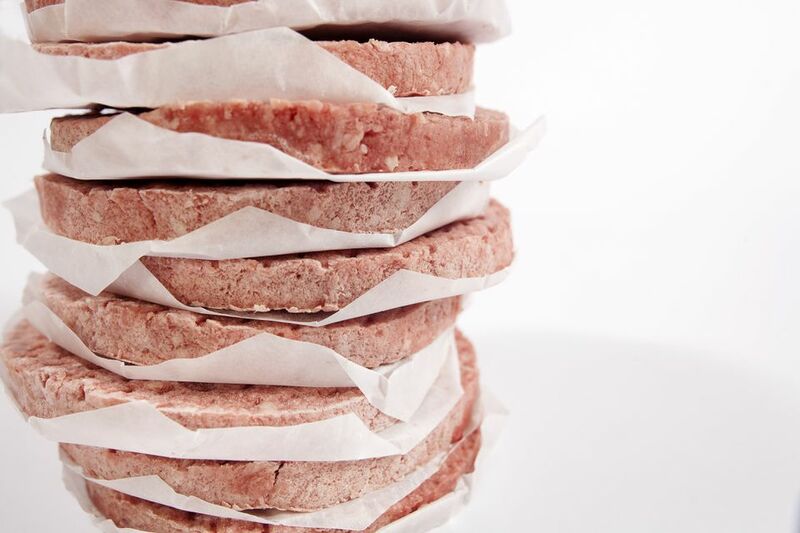 Package these for the freezer using butcher paper between each patty and placing them in a freezer bag. Be sure to date each package of meat before you put it in the freezer. This makes it easy to know which package to use first. If you find another deal on meat, rotate the stock in your freezer. Place newer meat on the bottom of the pile and older meat on top so it gets eaten first.